Grade 5: geometry. Help Raleigh uncover the lost temple by plotting ordered pairs on the grid. Help Raleigh uncover the lost temple by plotting ordered pairs on the grid. K5 Math will help your child gain skills and confidence in elementary school math. Good math skills are critical to success in school. Unfortunately, many children never grasp the fundamentals and some even develop math-related anxieties. K5 ’s goal is to help all kids develop confidence in math and mastery of basic math skills. According to the NAEP's 2009 Study, less than 4/10 grade 4 students are proficient in math. K5 Math is a comprehensive award-winning online math curriculum which has been used by tens of thousands of kids. The program includes over 1,200 research-based online math lessons and activities. Numbers and Operations – elementary school arithmetic from simple counting through fractions and beyond. Measurement – measurement concepts, including telling time and counting money. Geometry – characteristics and properties of geometric shapes. Algebra - patterns, relations, functions, use of models and algebraic symbols. We recommend that your child completes our free online math assessment. Students are then placed at an appropriate level in each skill area to continue to learn at their standard and at their own pace. A child may be placed at an early Grade 3 level in geometry and a mid-Grade 1 level in phonics, or visa versa, depending on his skills. Our Guide to Math Levels summarizes what is covered in each level in each skill area. K5 minimizes the burden on parents. Point and click interfaces and repeated spoken instructions allows kids as young as 4 to use K5 Math independently. Our online math lessons are automatically chosen by the system. K5 students cannot choose lessons at an inappropriate level or continue to repeat ‘fun’ lessons that they have already mastered. All of our math lessons start with a full interactive tutorial so kids can learn new concepts, not just practice what they have learned elsewhere. Tutorials are followed by practice sessions and finally a quiz. Math concepts are introduced through interactive animations, virtual manipulatives and models. 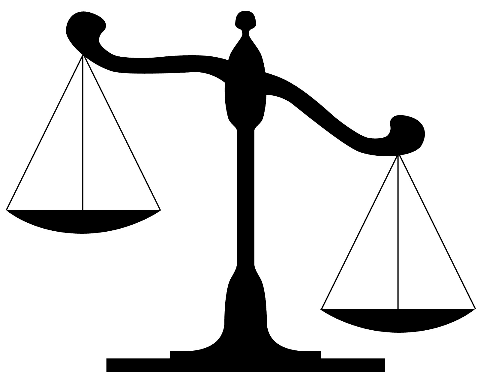 Kids don’t just hear instructions on using a balance scale, but can experiment with it by clicking and dragging virtual weights to weigh various items. K5 Math lets your child know right away when they get something right or wrong. Kids remember better when they receive immediate feedback. Interactivity and immediate feedback gives K5 Math big advantages over traditional worksheets, workbooks and quizzing software. Computers are completely patient and impartial. Students learn at their own pace without feeling that they are being judged. In math, it is important to build confidence and avoid anxiety. 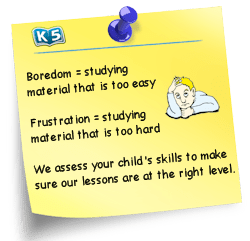 Lessons are broken into 5-10 minute segments so that study sessions can be short and flexible. Most kids learn better with more frequent but shorter study sessions. Parents can access comprehensive reports on their child’s progress at any time.